It was with great sadness that the Trust learned of the death of distinguished Mongolian scholar Professor Charles Bawden on the 11th August. Charles Bawden was Professor of Mongolian at SOAS from 1955 to 1984 and his published works on Mongolian literature and history include a Mongolian-English dictionary, published in 1997, which is considered by many to be the most comprehensive ever written. In 1955, he also translated and annotated the Mongol chronicle Altan tobči or ‘Golden Summary’ from old Mongolian script; a 17th century text of the history of the Mongol dynasties or Khans. Professor Bawden built his book collection over many years, acquiring books also during his several trips to Mongolia, most notably in the 1950’s and 1960’s. 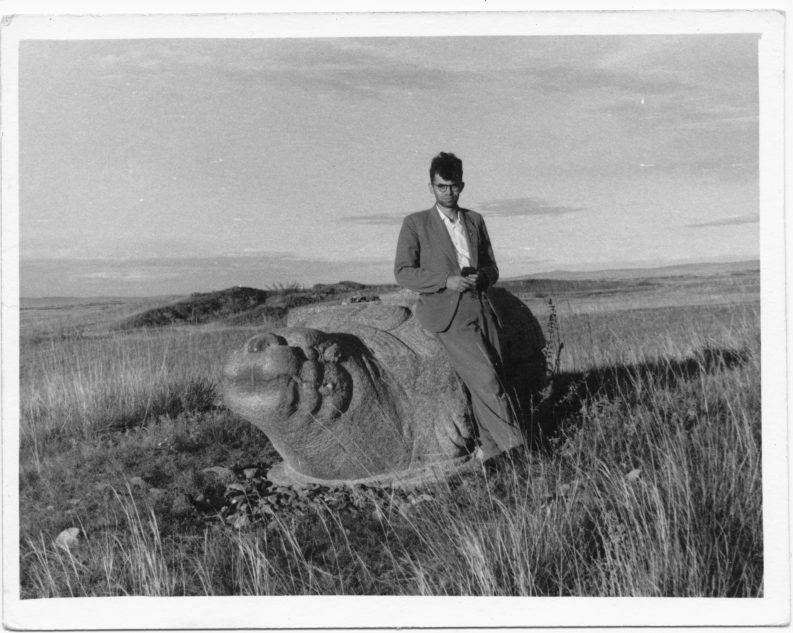 He donated a substantial part of his library to the Ancient India & Iran Trust in March 2001 and the remainder of his collection more recently in 2014, including his working papers, correspondence and an important collection of photographs and slides, many of which were taken by him on his travels to Mongolia.